You need help with your PC-Stations? No worries! 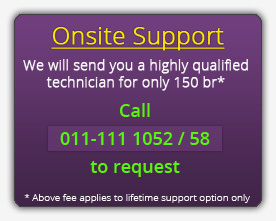 Just choose whichever way is most convenient for you and we will solve your problem in no time! Please wait patiently while a technician becomes available. 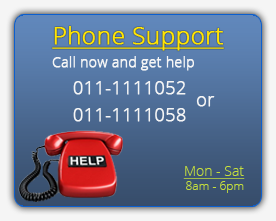 You can call 011-111 1052/58 to check. The action ( innovation ) of the team is not like the name of the organization (amest santim) it is great and very great .I learned a lot from your web.I expect more in the future and i will visit you when I come to sheger.thank you..
i am unable to see report because of Administrator password error In server PC! System 1 holds 3 monitor and it`s monitor including NC300. System 2 holds 3 monitor and it`s monitor including NC300. System 3 stands alone this PC get the connection directly from telecom ADSL. –The question is how to configure itimer SERVER AND CLIENT on System 3 to control centrally, since it is standalone there is no PC Station is installed it which is NC300. –The client itimer installed on the first 4 monitor including the main one and also in System 3 installed Server itimer but not actively displayed the client station in the central server. –How to fix this problem? If you want anything not clear, I can specify in txt or phone. First install the iTimer server on the stand alone computer using the standard installation method. Then on all other computers (both the host and the stations) you have to install the iTimer Client using the “Advanced” button while specifying the computer name of the computer that you installed the iTimer server on. You also need to turn off windows firewall or any other antivirus software that might be blocking it! hi guy thank u 4 your offer.. u r simply best.. Yes, you can control both your stations and stand alone computers from one computer. Well, iTimer is designed to work on Windows XP only, some users have reported success with using it on Windows 7. That is the only requirement. Please consult the installation guide for the right installation steps. i plug a flash in station computer the outomaticly display in all monitor how can i see in one moniter. You can use the ‘USB port assignment’ feature as described in the user’s guide to control which port belongs to which station. This feature is located in the NCX 2000 XP console. I have changed the password for my i timer which I bought from you but forgot the password. Run the included uninstaller to remove the software and then re-install it. That will reset everything back to the default values. dear amest santim i use pc station for 3 computer and other 2 computer with their own system unit now i need to connect the the 2 computers timer to the server but its can to be display their timer to the server i jst install the timer for both the alone pc , they lock by their timer still their timer not display to the server plz respond yr support ? Most probably, Windows Firewall or some other antivirus software is blocking the iTimer. Try turning off Windows Firewall on both the server computer and the stand alone computers. I have pc station but key number & serial number are erased so what can i do/ haw can i insole the station can you give me the numbers? I have a problem in monitor resolution for client computer. I can’t fix the resolutions of the monitors. The maximum resolution and color supported on PC-Station is 1024×768 and 16 bit color respectively. while am using p-station my computer infected with virus and i formatted and instal with xp pack3 but still the station windows delayed to start. it displays on the screen “waiting for start” so amst santim plz help me how to fix this problem through my email,thank you for help me! It is most probably because you used a bad copy of Windows XP. Try formatting using another CD and it should solve your problem. Yes, you can get Win XP SP3 from our office. 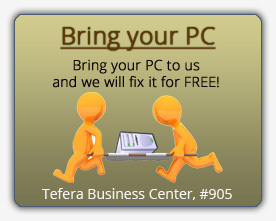 Hi, This is Tegegn and I am writing to ask about the windows compatibility for Itimer pc-station. Is it possible to use Ubuntu operating system? please advice me. Thank you. The driver for Ubuntu is already included in the PC-Station CD. HI AM CHANG THE OPERATING SYSTEM B/C SKYPE DOS’T SUPPORT PACK 2 AND AM CHANGE OPERATING SYSTEM BY WINDOWS XP PACK 3 BUT THE STATION DOS’T STARS. WHEN I CHANGE THE LIMITED ACCOUNT TO ADMINISTRATOR IS THERE ANY DIFFERENT SOLUTION CAN I GET. Yes, PC-Station works best on Windows XP Service Pack 3, the reason you’re having problems is because the XP CD you used has problems. Try re installing windows using another copy of XP. The default behavior of iTimer is to open eGursha.com using the default browser when the station is started, this is seen as a helpful feature because eGursha.com has all the common websites on its homepage from which the user can click and use. Run time error ‘2147467259 (80004005)’ : system resource exceeded. I don’t have an antivirus installed and scanned my hard disk for possible virus. please help me to use my lovely itimer. Seems like your installation got corrupted by either a virus or something similar. Have you tried re-installing the iTimer Server? Dear Amst santim owners how r u doing! I already configured my pc station but the clients or the added PCs ask me a log in password which is not set before/ during installation after registration or after configuration. now what can I do or how can I solve this problem????? please help me as much as soon! If you look at the installation video, your question will be answered. You need to set the stations to Auto logon. You can find the procedure in the video. You need to check that you have the correct date set on your computer. hey, i want ask you guys something, i have been using your product that is pc station. but now the mouse of the pcs that i connected from the server pc are stacked, but the keyboard is still working. can i get some help about this? The problem is either the mouse itself or Deep Freeze. If it is the later, you can consult the troubleshooting section. can you help i can not Removed or disabled my pc deep freeze i trey more times disabled by pressing ctrl,alt,shift and f6 i can not disabled deep freeze . You probably need to format your computer. Hello Dear Amestsantim Team! How are you? Please I get a help on the problem below see when I install the PC station. This software is hardware protected. Your hardware is not supported. Please contact For support help form please double click the below link: or its distributors for purchase of the hardware. It just means that the PCI card is not properly installed in the PC. –The question is win logon terminated. 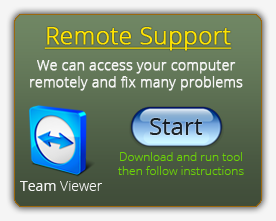 Please refer to the troubleshooting section of this site to find the answer to your problem. I need pc station serial and regestration number please.